W Hotel in Union Square, NYC is offering a Surf + Stay package, perfect for the traveler that wants to experience the energy, activity and buzz of NYC, while getting a refreshing, outdoors experience. Yes, you can surf in NY and Rockaway is a welcoming place to start. Included in the package is a weekend stay in Manhattan, lesson from Locals Surf School, transportation to/from Rockaway Beach, a beach bag full o' goodies, lunch at Rockaway Beach Surf Club. Plus, 10% of your purchase will go toward Graybeard's Sandy recovery efforts. 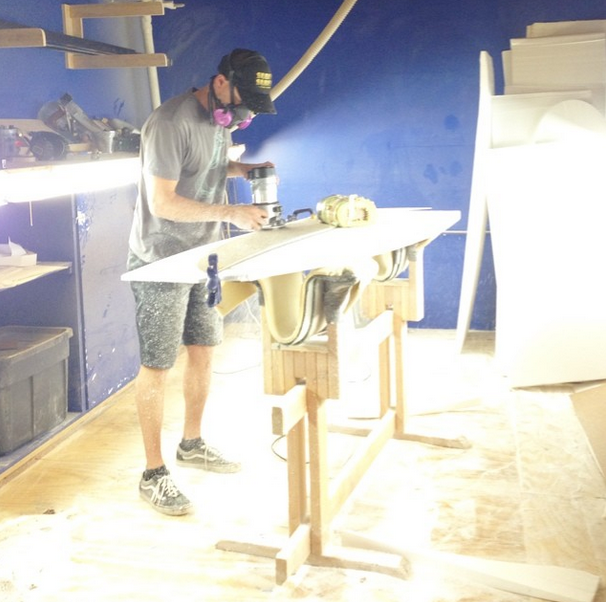 We've partnered with Brooklyn's Imaginary Surf Co. to design the GLASSY surfboard above. It will be auctioned off at the end of the season with 100% of proceeds going to Graybeards - stay tuned for how to enter.